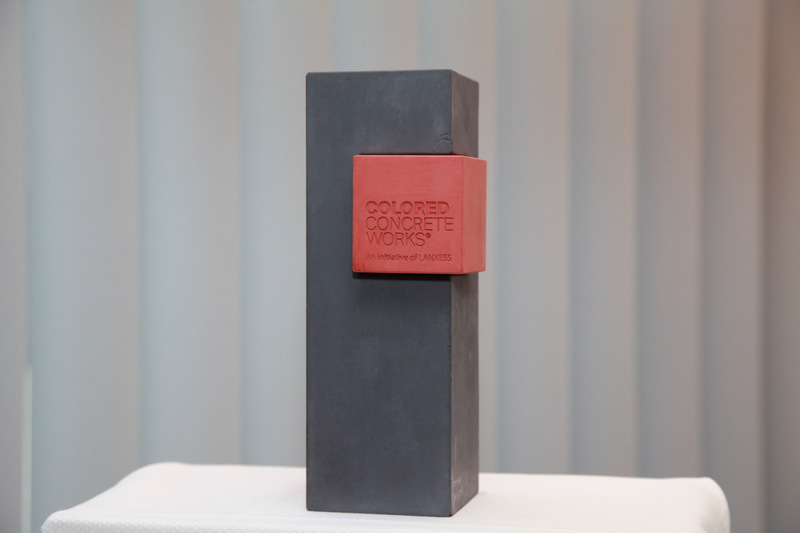 Specialty chemicals company LANXESS will be presenting the second Colored Concrete Works Award in 2015 to an architect or developer who used colored concrete to implement new and interesting facets in his or her project. Developers and architects of completed building projects the world over are invited to submit an entry by October 10, 2014. The most important criteria for participating: Buildings must be no more than five years old, and the concrete used must be colored with inorganic iron oxide or chromium oxide pigments. For detailed information and entry documents, contact: ColoredConcrete@lanxess.com. The international jury comprises of architects, representatives of the trade press and university community, and pigment and marketing experts from the LANXESS Inorganic Pigments (IPG) business unit. The jury will select the most impressive project from all entries. Criteria include the building’s choice of colors, function and significance. The winning project will be presented in an international campaign in the trade and technical press, which includes multilingual publications of a case study on the building. Winners will be notified at the end of October 2014. All decisions are final. The award ceremony will be held on February 25-26, 2015, at LANXESS. The first Colored Concrete Works prize was awarded in late 2012. Made of colored concrete, that first award went to the architect David Chipperfield for his “Ciutat de la Justícia” project in Barcelona. LANXESS is the world’s largest manufacturer of iron oxide pigments and a leading producer of inorganic pigments based on chromium oxides. The color spectrum available using iron oxide pigments covers many warm shades from yellow to ocher, and from red to brown and black. Chromium oxide pigments can be used to create green colors. Inorganic pigments are suitable for use in integrally colored concrete, colored prefabricated concrete components, such as facade elements, colored in-situ concrete and steel-reinforced concrete to EN 12878. “Year after year, buildings are constructed all over the world that are colored with inorganic pigments from our Bayferrox and Colortherm product lines,” says Thomas Pfeiffer, head of the EMEA region and Global Key Accounts at IPG. These case studies are presented in the Colored Concrete Works series of publications. They are available in multiple languages on the internet and in print. These examples of outstanding buildings in colored concrete from around the world are available at www.colored-concrete-works.com.